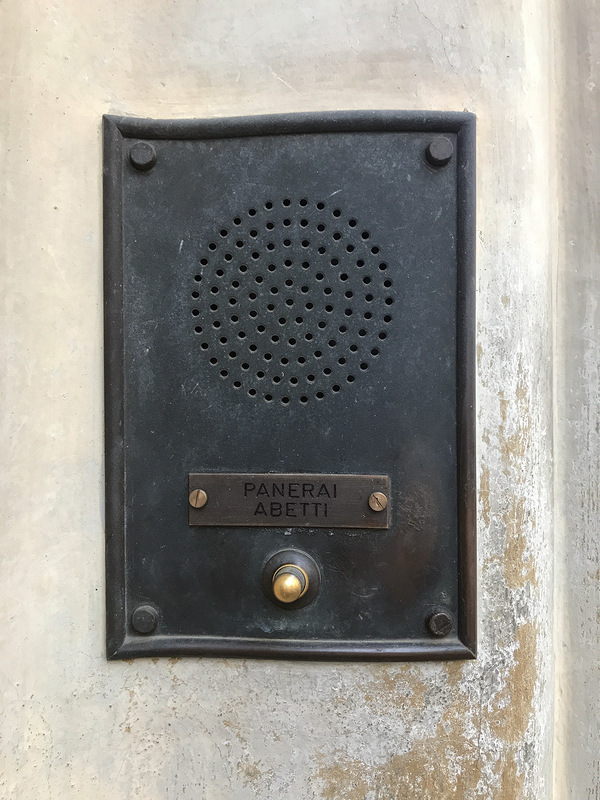 Every year in the month of May I travel to Florence to meet the truly important people when it comes to Panerai. Maria Teresa Panerai, the widow of Giuseppe Panerai and Francesco Ferretti, who was probably one of the first Panerai collectors ever. 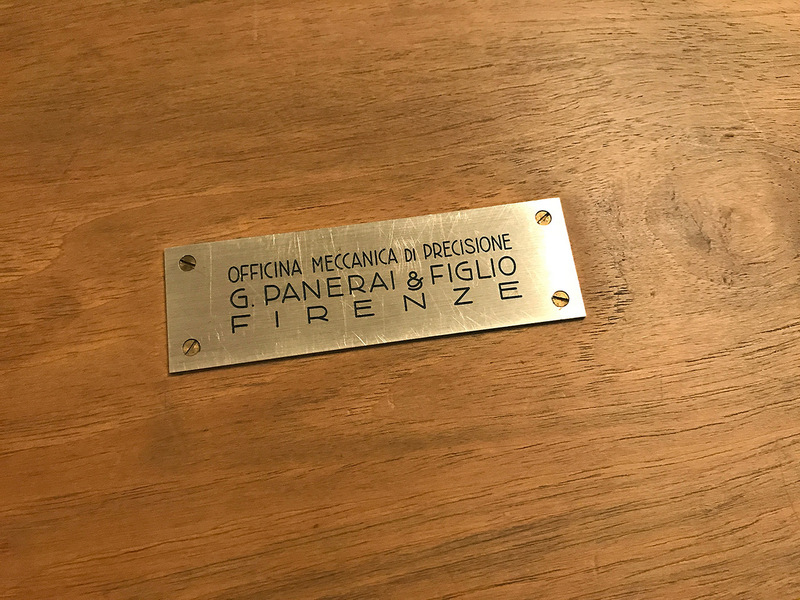 The original plan was to also attend the annual Club Panerai meeting in Viareggio but due to my Instagram Exposé on the counterfeiting activities of the Rinaldi family and their accomplices, the club president disinvited me from the event. He claimed I was detrimental to his club. I thought this was kinda weird as I was only protecting the integrity of Panerai. In light of the fact that he, the president, and many of the attendees of his annual meeting had known for many years in what activities the Rinaldis were involved, this whole thing gets a very bitter taste in the mouth, especially considering that Rinaldi Junior attended the main event on Saturday. As a matter of fact, I still remember how surprised I was to see key people briefing me on the Rinaldis and their many fakes – without me even asking – during my first meeting. I knew of course already who the Rinaldis were and what they have done, and continue to do. For some reason, the people at the meeting wanted to get these stories off their chests. Although they knew what had been going on, they all kept quiet. The Italians have a word to describe this code of silence, it’s Omerta. An expression commonly used in regards to the Mafia. Anyway, this unpleasant situation forced me to change plans. 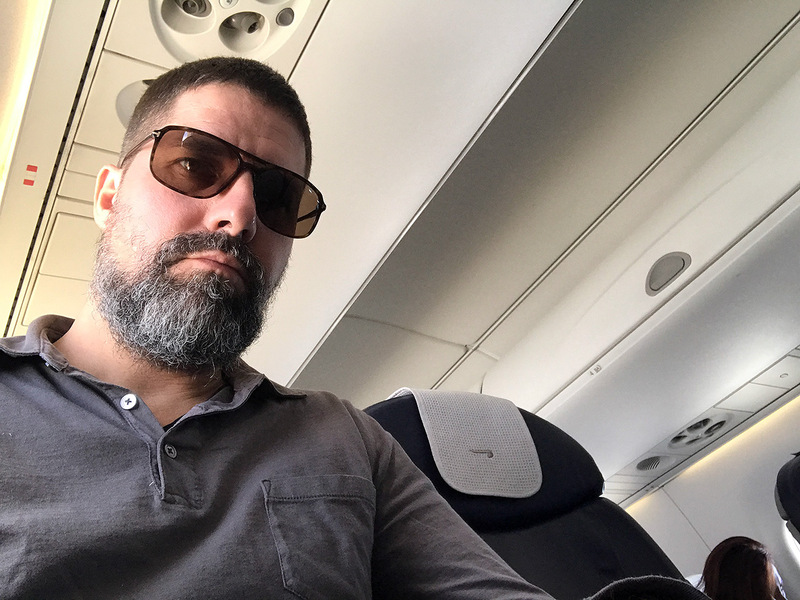 Instead of flying directly to Pisa, I changed my booking to London instead. And this is where this journey begins. 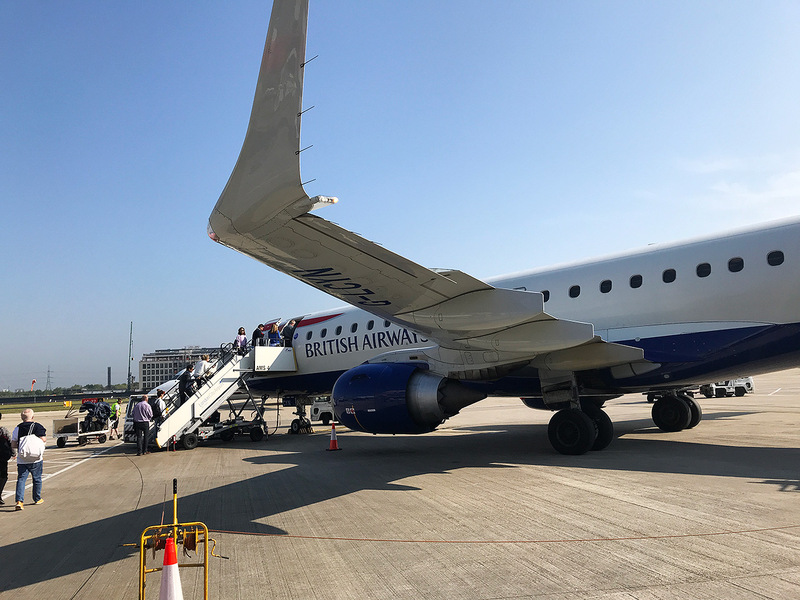 Boarding the aircraft at London City Airport. 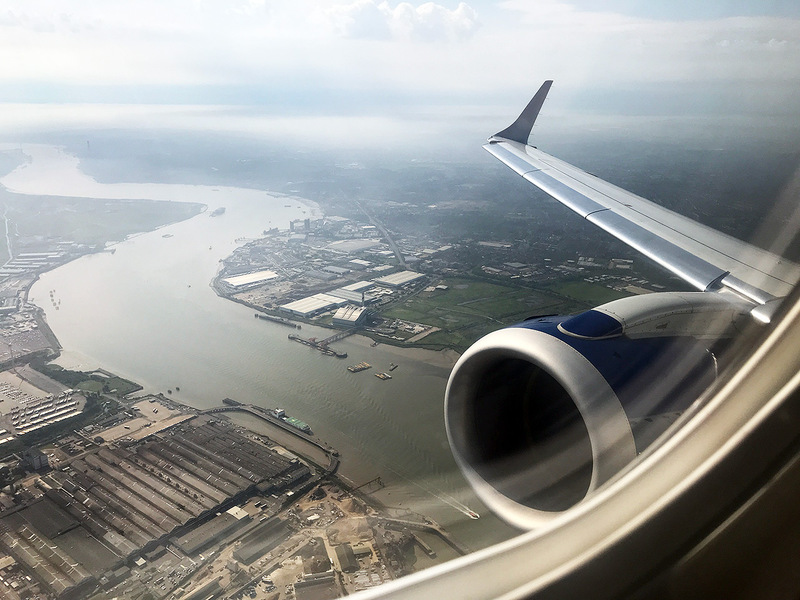 Flying from and to London City Airport grants you great aerial views on the City of London. Here’s a view on the River Thames. 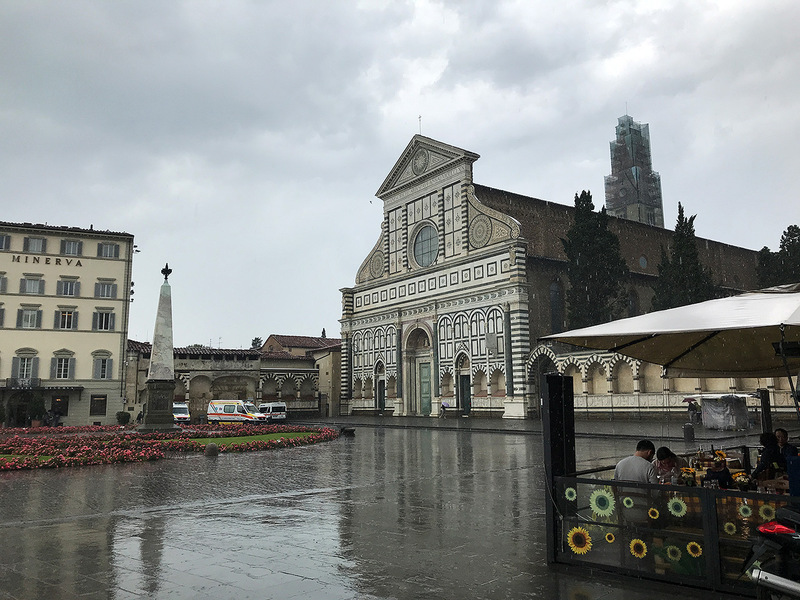 I arrived in rainy Florence around noon. This is the view from my favourite hotel on the Basilica di Santa Maria Novella. The fassade of this church is made of famous white Carrara Marble. The mountains to the north east of Carrara can be spotted from far. The white colour is not snow but actually the many quarries that show the inside of the mountain like open wounds. 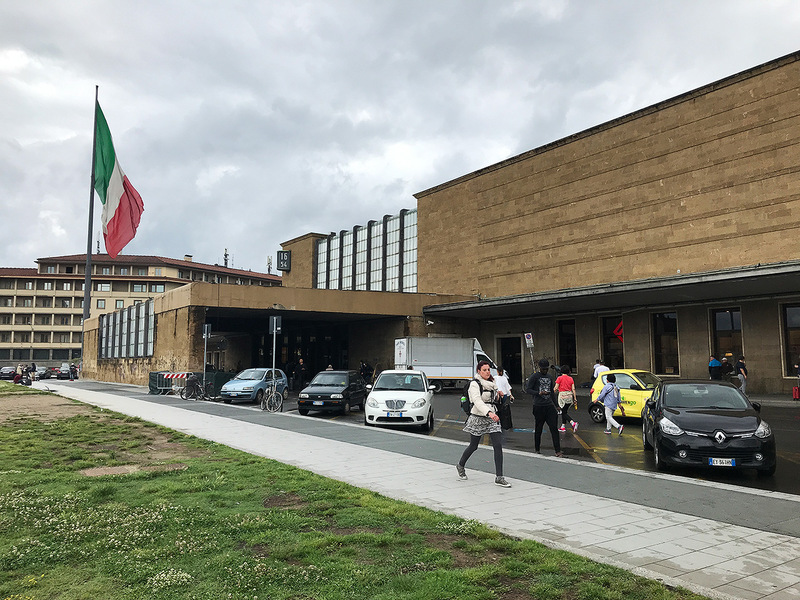 However, after my check-in at the hotel, I walked to the train station Santa Maria Novella to meet my good friend Anton who was arriving from Milan. Anton is Russian and lives in Moscow. 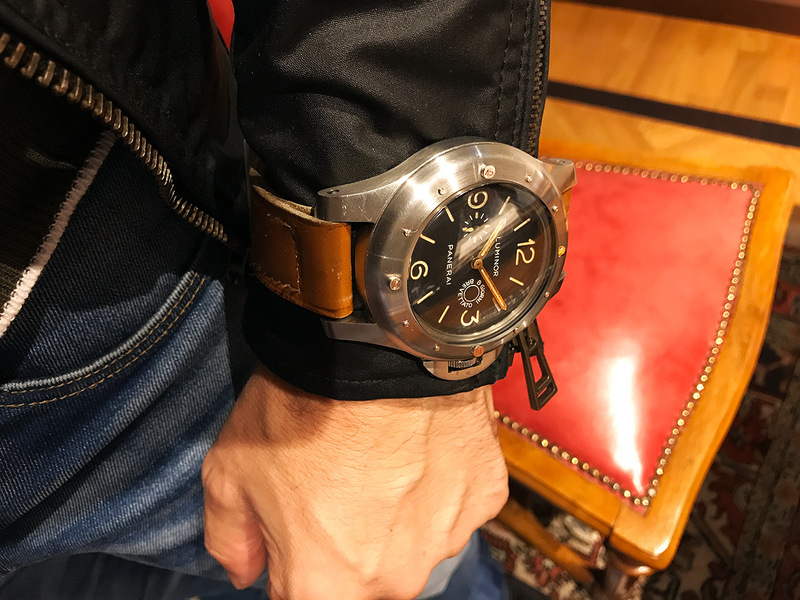 He attended the annual Club Panerai meeting and went to explore Milan right after. 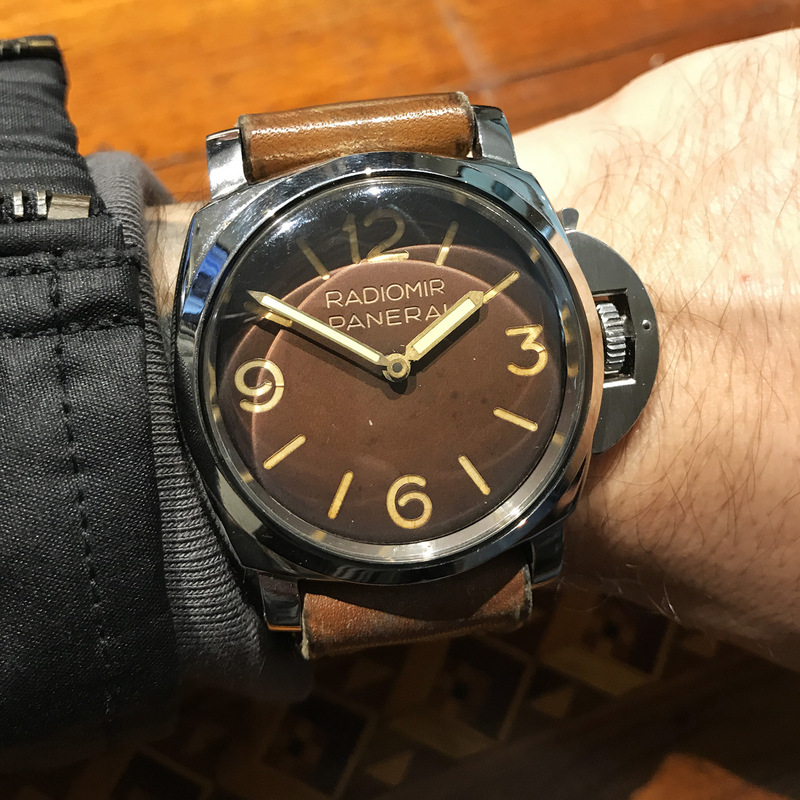 Our plan was to take the next train to Montecartini-Terme in order to visit Signor Francesco Ferretti and his awesome Panerai Museum. Marius, a good friend from Germany who was staying near Viareggio, would join us at the museum. 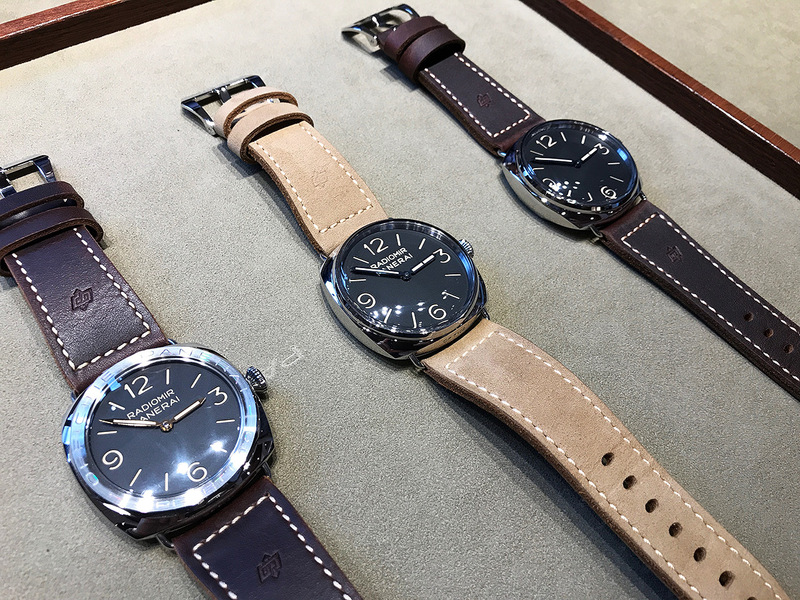 The next train would leave in around one hour so we had plenty of time for a short pilgrimage to the Panerai Boutique. The inner core of Florence is quite small. It is easy to walk anywhere. Arrived at the famous Piazza San Giovanni, near the Duomo. The following inscription on the Panerai Boutique window makes me laugh whenever I see it. 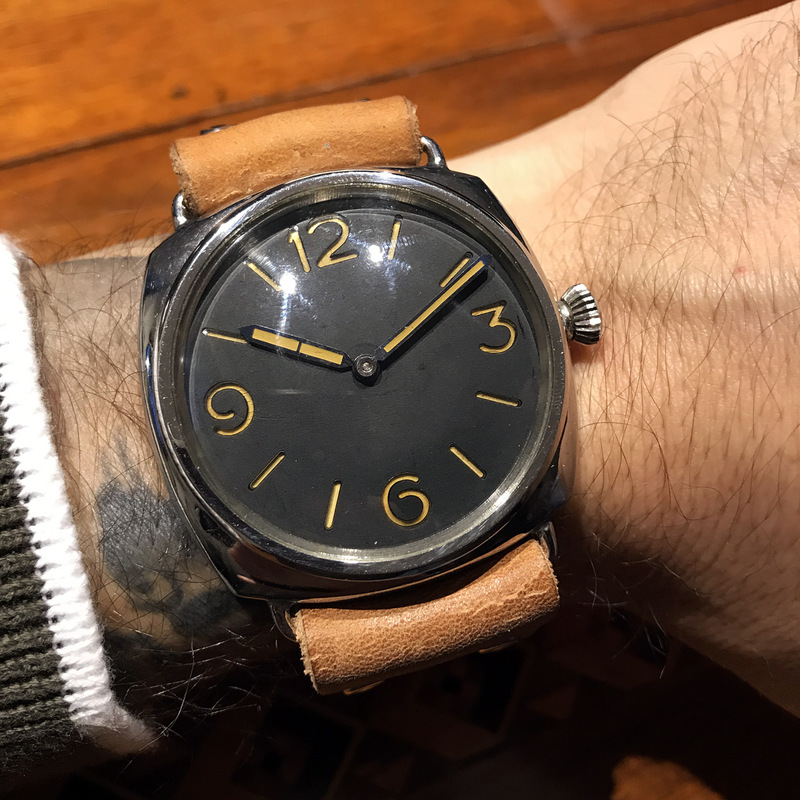 Panerai Giovanni & Figli! This is probably supposed to give the boutique a vintage touch but it’s not only historically incorrect, it actually never existed in this form. It should read: G. Panerai & Figlio. We entered the boutique and asked whether they had any of the recent Special Editions. They had! The boutique people were very nice and offered us drinks while we were waiting. 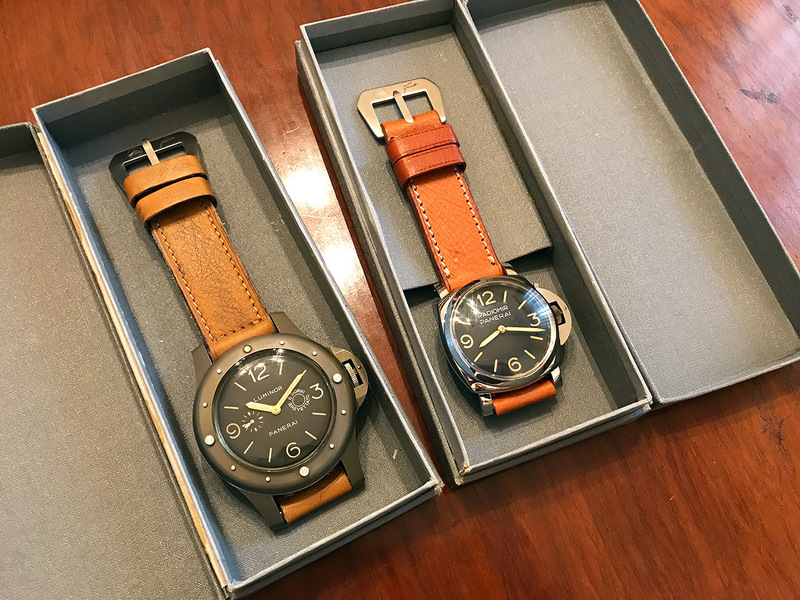 From left to right: PAM 685 (1000 pcs), PAM 720 (500 pcs) and PAM 721 (1000 pcs). All of them were available at the time of visit. Ok, it was time to see some real stuff now. The train ride from Florence to Montecatini Terme took around one hour. I contacted Francesco Ferretti to make sure he was available. 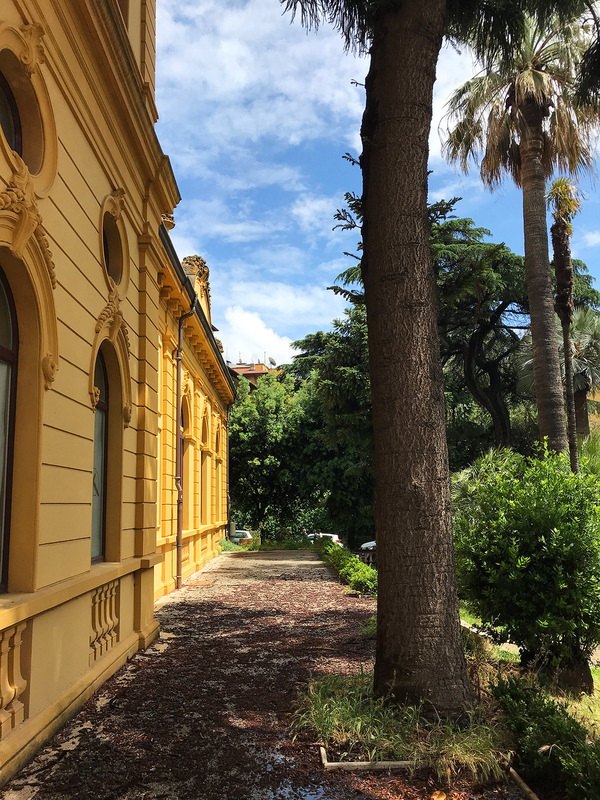 We encountered favorable weather in Montecatini Terme. Ferretti’s shop and museum is located in a beautiful Palazzo from 1907 that once hosted a famous casino and theatre. Signor Ferretti was sitting at his desk when we arrived. He opened the door from his desk as soon as he saw us. He looked great! I was happy to see him in good shape. Ferretti has put together a fantastic Panerai collection for his museum. 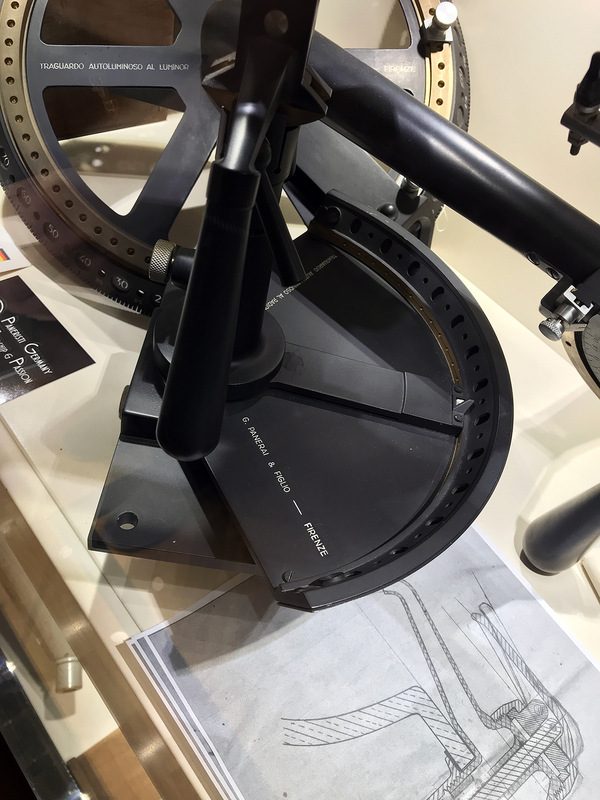 The following picture shows prototype torpedo aiming device. This type of calculator was used on motor torpedo boats for firing at moving targets, even at night thanks to the application of Radiomir. The next pictures shows a similar device with Luminor from the 1960s. This version was apparently used on patrol boats. The inscription reads: Traguardo Autoluminoso al Luminor. And yet another aiming device. This time with Radiomir. The drawing at the bottom depicts a warm/cold water mixer tap for an Italian Navy ship. It was designed by Giuseppe Panerai himself. I was quite surprised to find a Paneristi Germany (Friendship & Passion) card in Ferretti’s display. Beside being a very cool bunch, the German Paneristi are also good friends of mine. 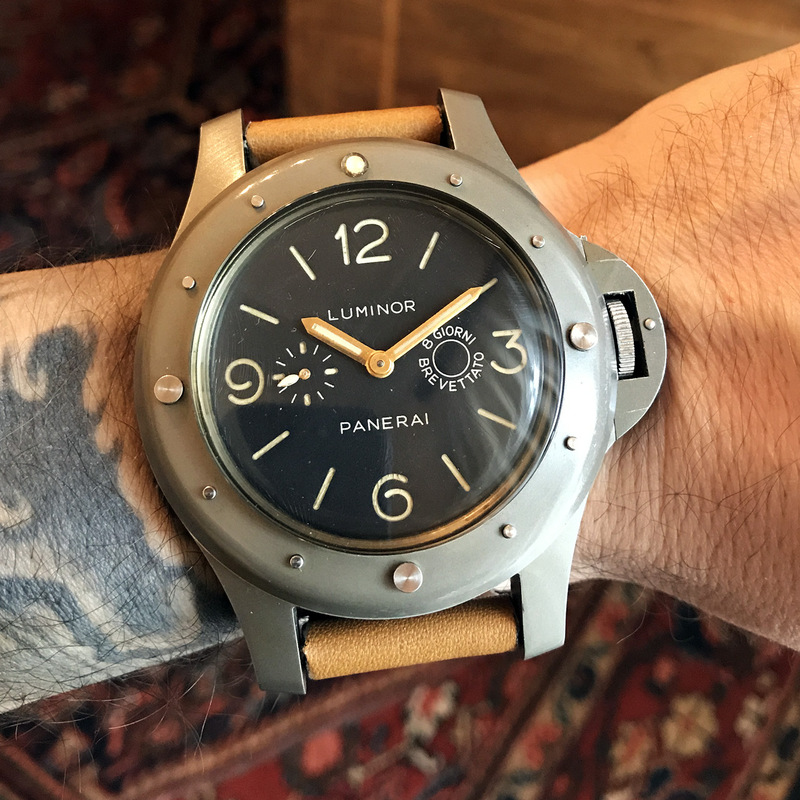 Another interesting device made by Panerai. Ferretti couldn’t tell me how it works but it looks simply stunning. It is possibly some sort of enemy torpedo calculator. The black disc in the center reads Bersaglio = target. The knob on the right says Rotta = route, the one on the left Rilevamento = target acquisition. Poppa means Stern, the rear part of a ship. Impressive! Check out the engravings. They were made by hand with an pantograph. Panerai was all about perfection and precision. 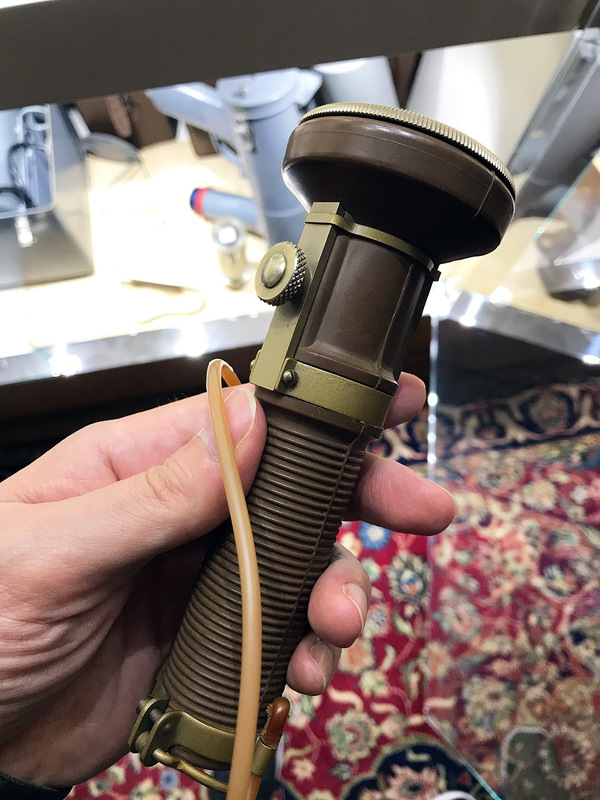 Panerai developed a variety of special underwater torches for frogmen. Their design is intricate and their execution nothing short of perfect. The design of this GPF Mod. Dep. 3002 is simply stunning. These pieces were handmade on special request. 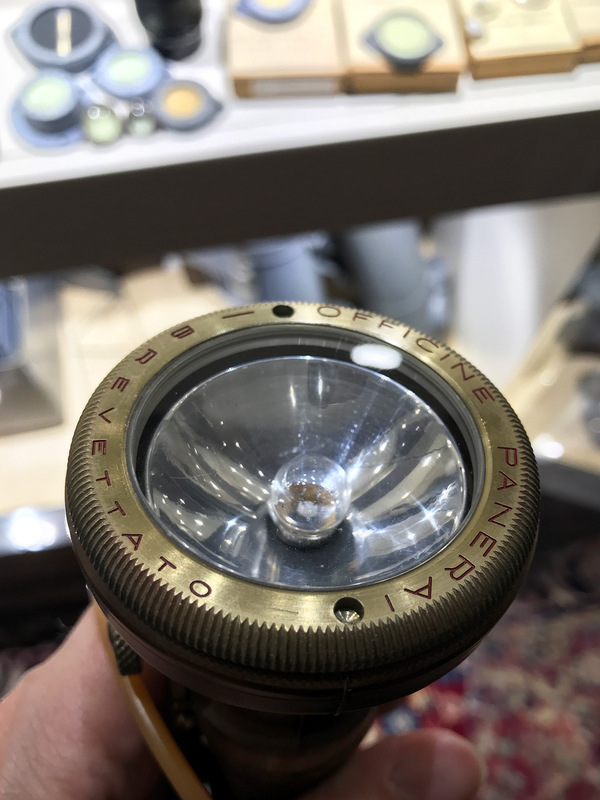 Check out the bezel of this torch. It’s basically the same design as the engraved display casebacks seen on Ref. 6152/1 with Angelus 240 movements. Considering the timeline, this torch model was probably the inspiration for those casebacks. 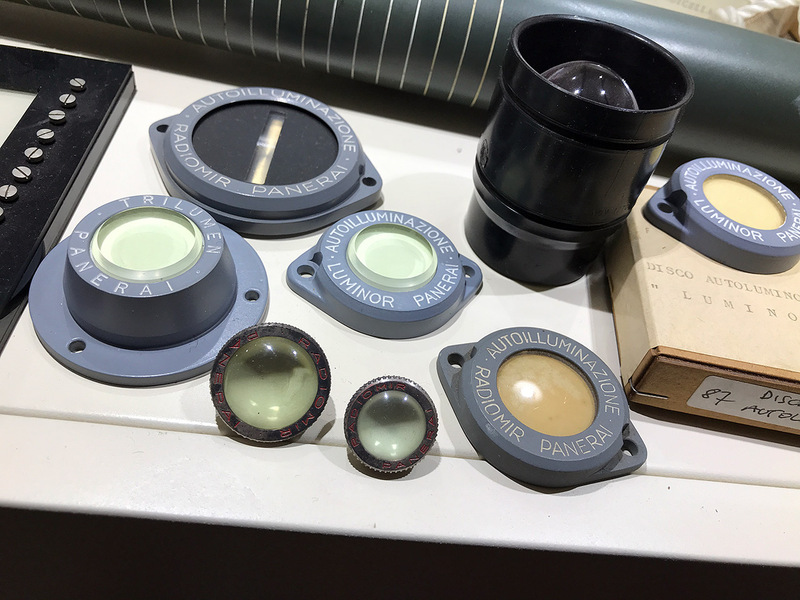 The next picture shows self-luminous markers made by Panerai. These markers were installed over ship compartment doors to prevent people from hitting their heads or along the walls to signal the way in the dark. 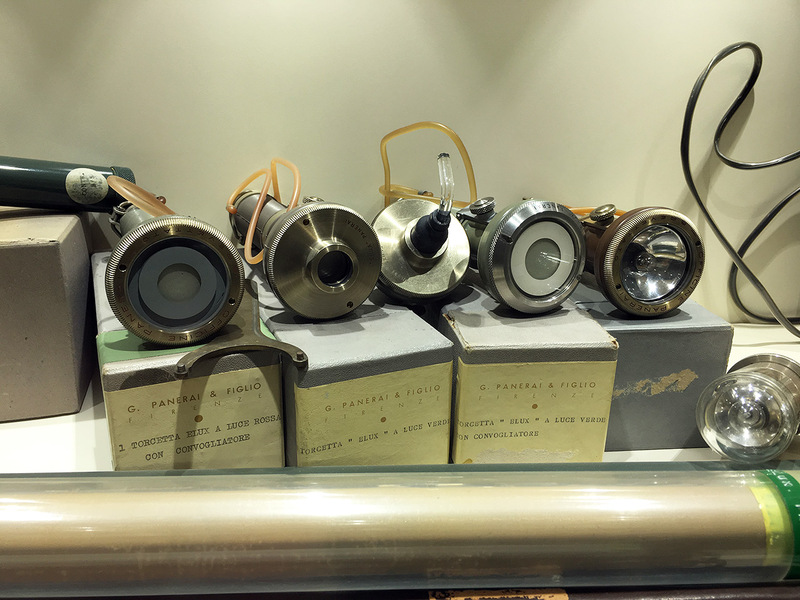 These are Panerai Signal Lights (Elettrosegnalatore Modello GPF 1/58) for visual communication between vessels. The drawing underneath shows that these devices were designed in December 1958. 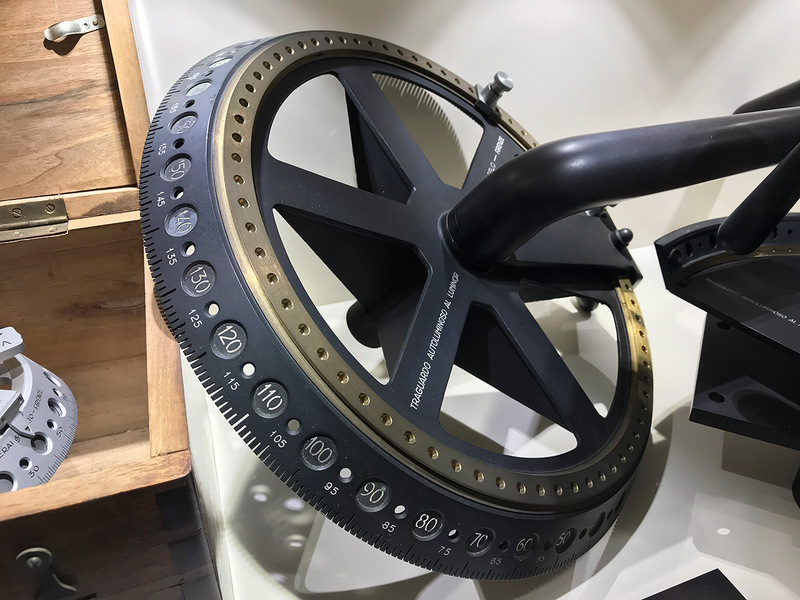 The photo below shows a Panerai Mare Nostrum torpedo timing device, equipped with a Minerva 19/14 chronograph movement. 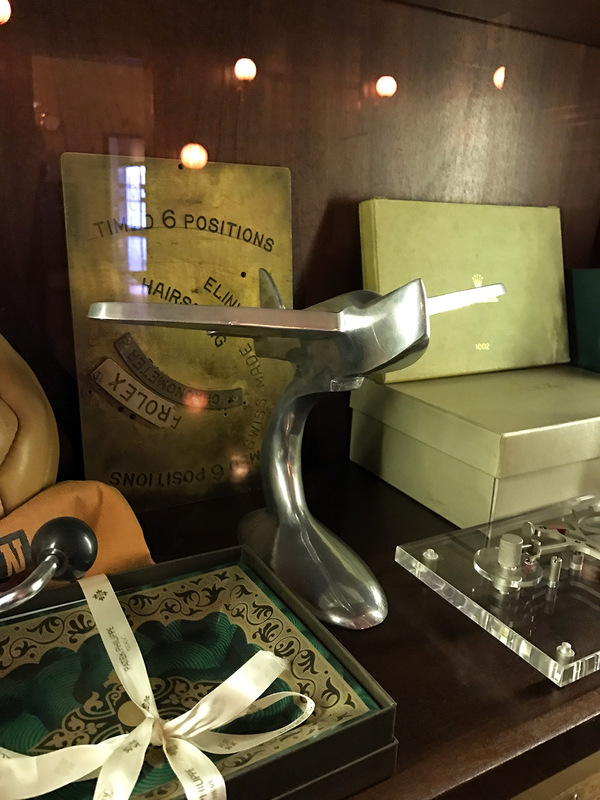 This apparatus was used to check and adjust the timing mechanisms of torpedoes. 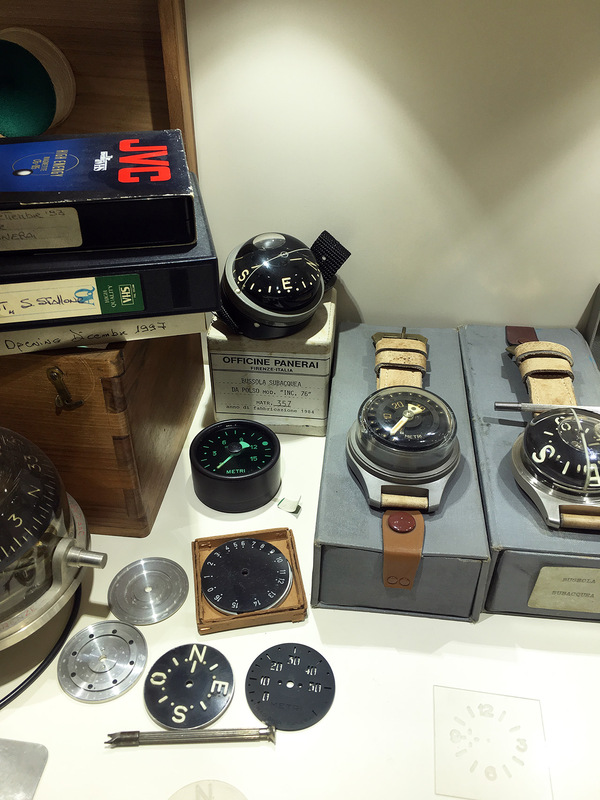 A variety of Panerai frogmen instruments from different periods. The two on the far right are from the 1950s whereas the ones in the center of the image are from the 1980s. 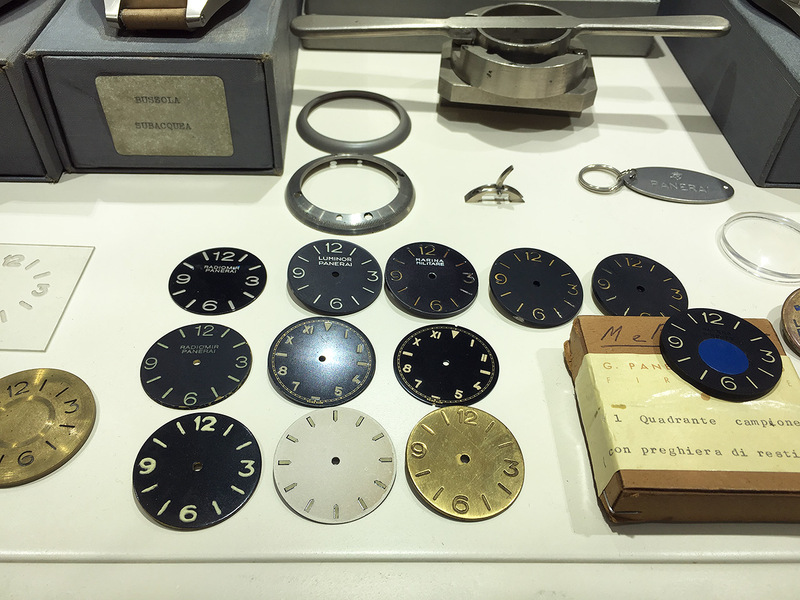 The next picture shows a variety of Panerai dials. 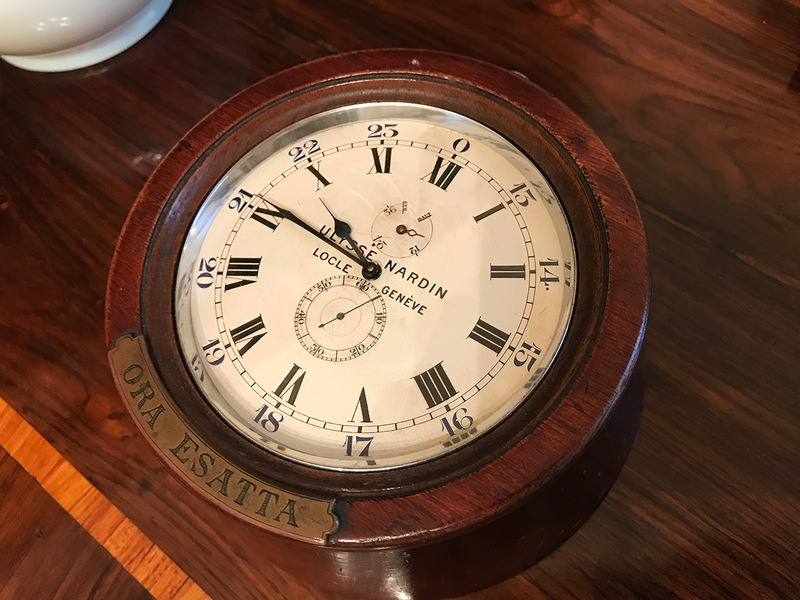 My favourite is the “California” dial without dial feet and two notches at 6 and 12, right above the brass dial in the center. 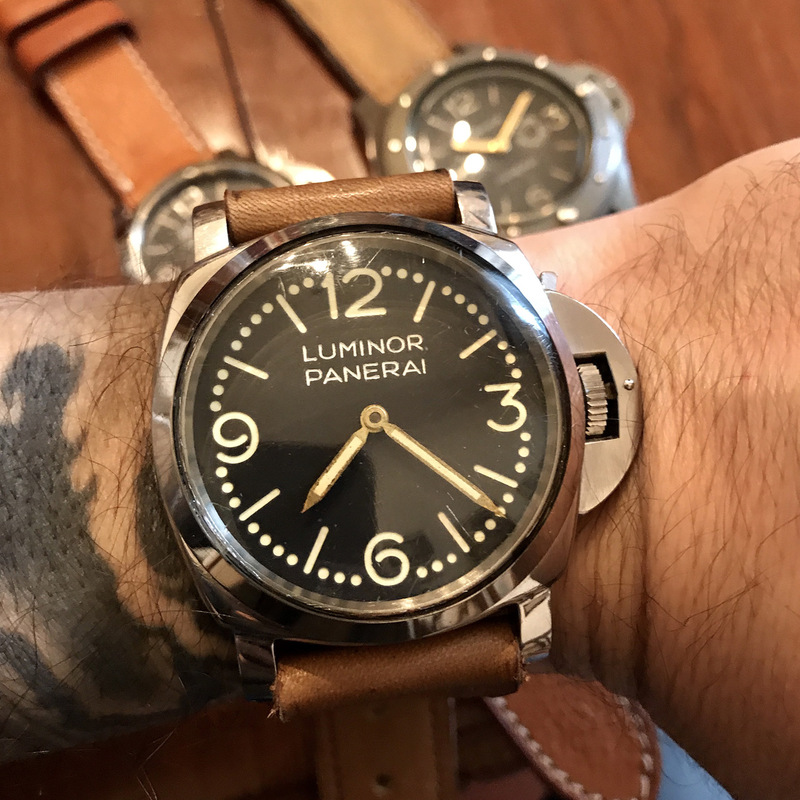 In 1944, Panerai was no longer able to produce their signature sandwich dials due to aluminium shortage. In consequence, Panerai asked Rolex to deliver a new batch of watches with their own luminous dials aka as Rolex Error Proof dials as used in Rolex Bubblebacks. Stern Frères, the famous dial producer, made these dials with dial feet in pocket watch configuration (crown at 12). Long story short, Rolex recycled the faulty dials by removing the dial feet and installing them with tiny screws at 6 and 12. Ok, let’s check out some watches now, shall we? PAM 21, the first Richemont Special Edition from 1997/98. The PAM 21 has an amazing profile. This is how a Radiomir should look like. The modern Richemont replicas are simply too fat. GPF 2/56, originally developed for the Egyptian Navy. This Luminor model is a later version from the mid 1960s. When Poseidon meets Chronos! The result would certainly be the GPF 2/56, a titanic watch. A mere mortal like me can only wear it over his jacket sleeve. 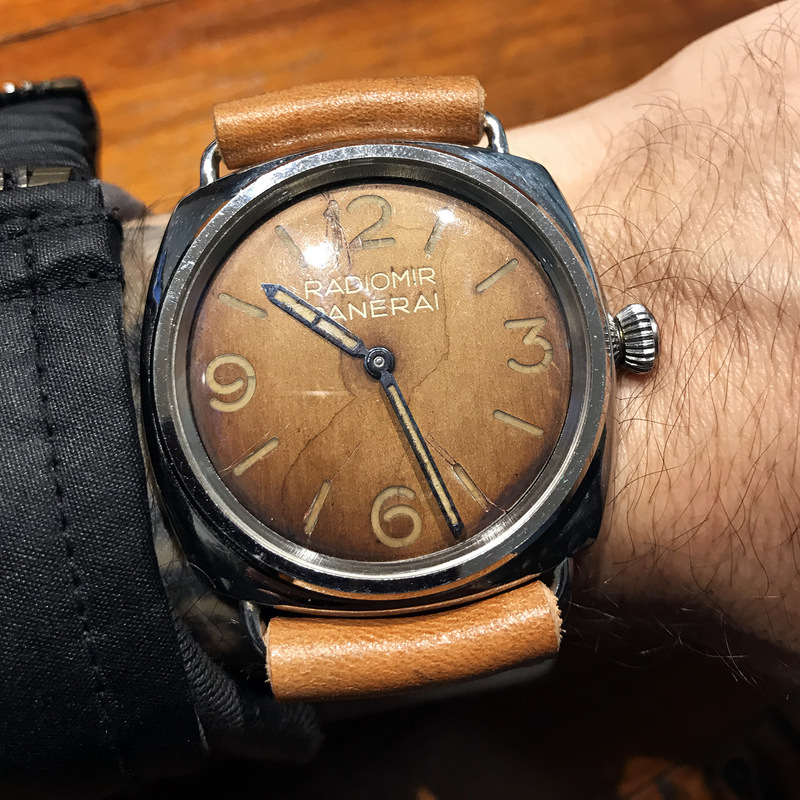 Panerai 3646 with nicely faded 1950s Radiomir dial. 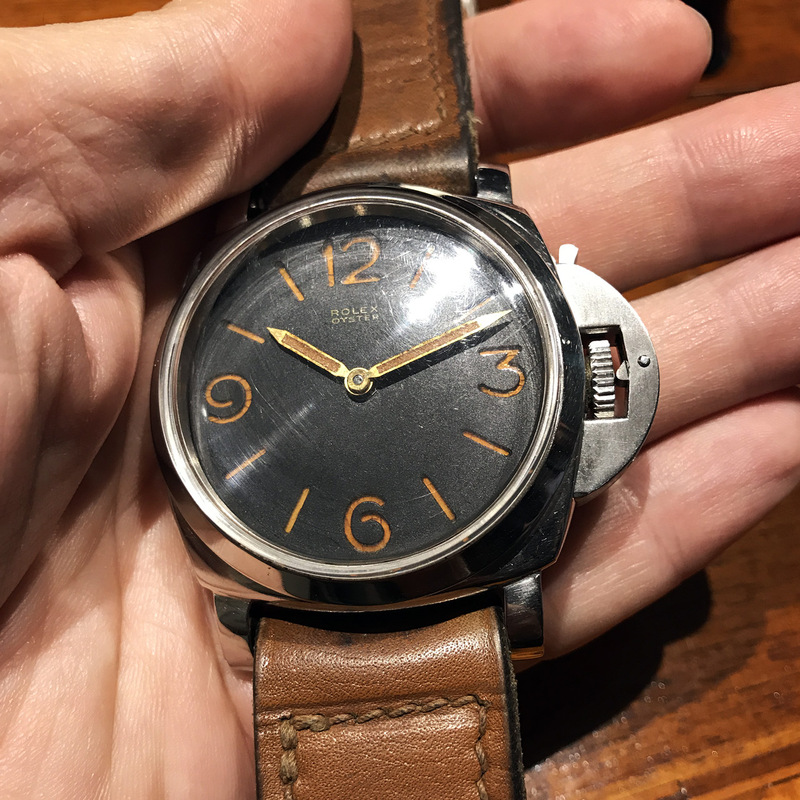 Panerai 6152/1 with Radiomir dial. These are quite rare as most watches in service were updated with harmless Luminor dials from the mid 1960s onwards. 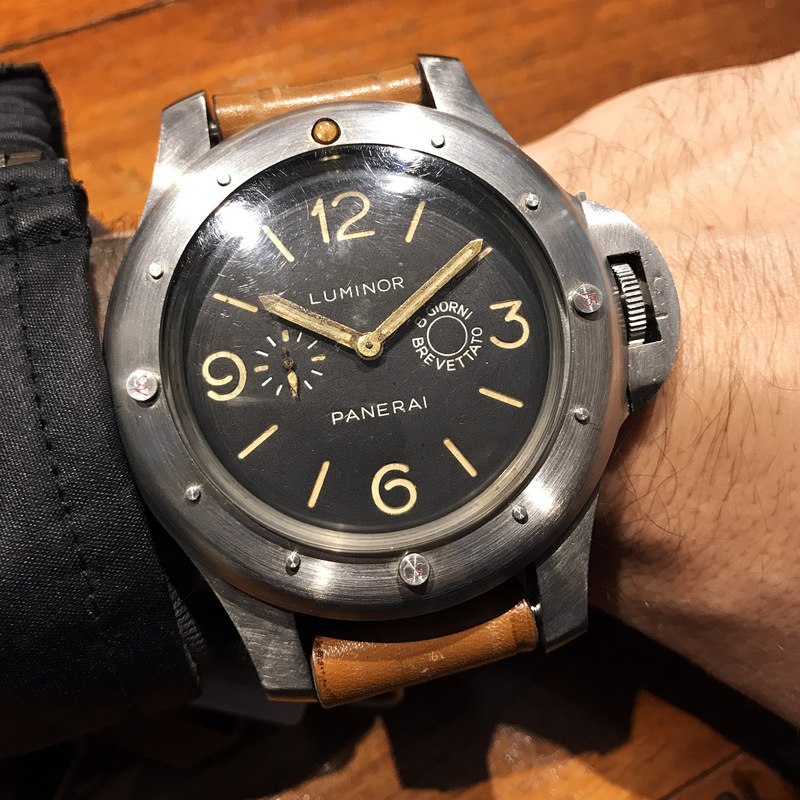 Panerai 3646 Kampfschwimmer, used by Nazi Forces in the final days of WW2. This type of watch was the inspiration for the PAM 721. The following watch is quite interesting. It’s a 6152/1 with Rolex Oyster inscription on the dial. The Rolex Oyster inscription appears to be printed on a typical Kampfschwimmer dial with more open 6 and 9. 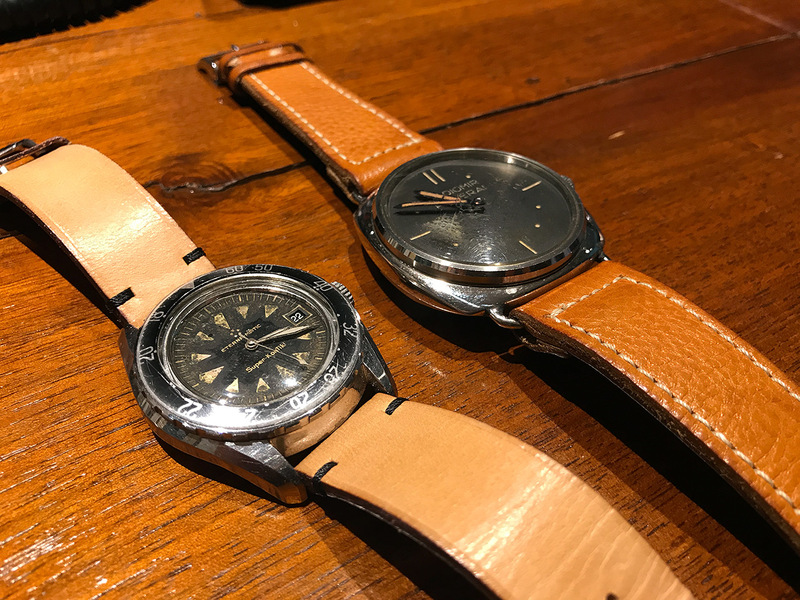 An Eterna Super KonTiki issued to the Marina Militare next to the famous 2533 that gave birth to the PAM449. The irony with looking at these amazing watches is they make you forget one thing, the time. Anton had to catch a bullet train to Milan and we had to leave head over heels. Thank you very much Signor Ferretti, take care! Signor Ferretti’s Panerai museum is simply mind blowing and a true gem for all Panerai lovers. 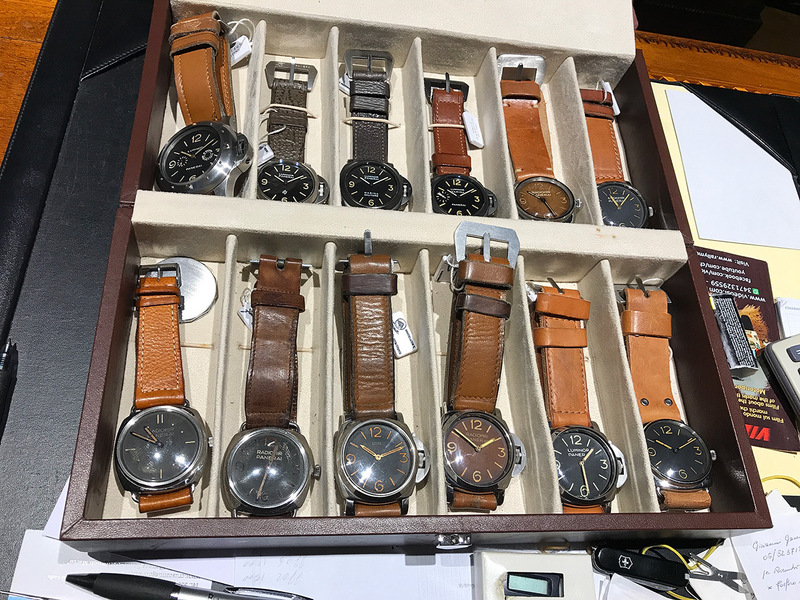 I hope it will remain open to the public but I fear the modern Panerai will try to get their hands on all this stuff in order to make it disappear forever in a warehouse. Remember the end scene of Indiana Jones – Raiders of the Lost Ark? We arrived just in time for Anton to get on the train. Bye bye Anton, see you in a few days at the GTG in Moscow! What a great afternoon, I thought while I was walking back to hotel L’Orologio. Orologio is the Italian word for clock/watch. The design of the L’Orologio is inspired by the world of Haute Horlogerie. 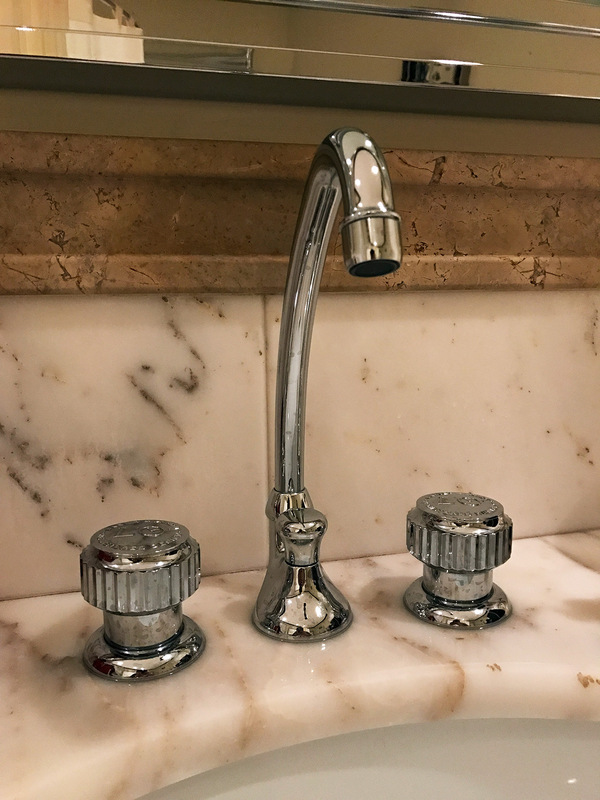 The hot and cold water handles for instance look like Rolex winding crowns. 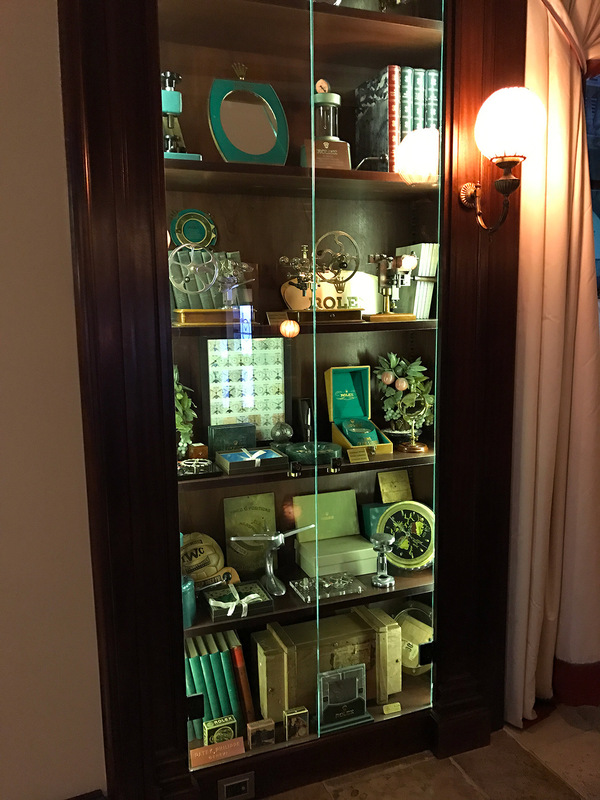 There are several very interesting objects in the displays. The board in the background behind the plane model is a pantograph stencil used to engrave Rolex movements (Timed 6 Positions). 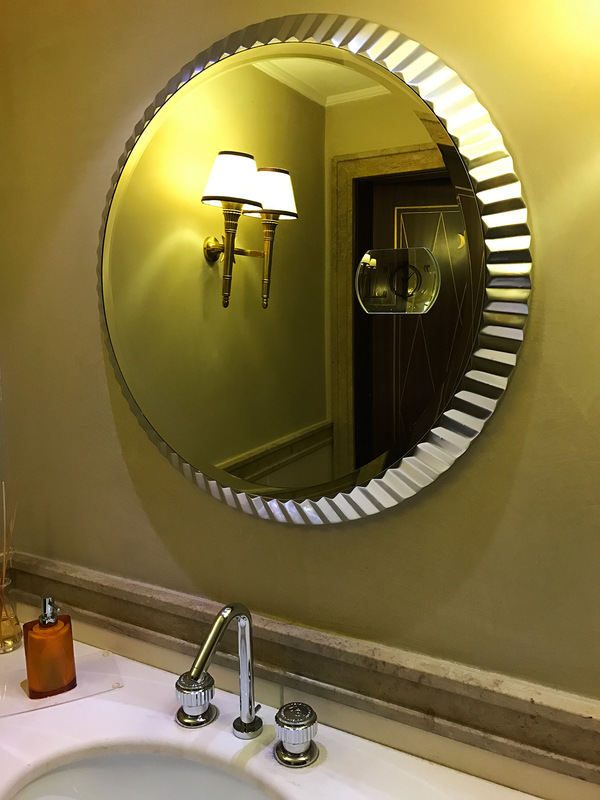 The mirrors in the guest restrooms are inspired by Rolex watches. Alright, this is were it gets exciting. The next day I would meet Maria Teresa Panerai early in the morning. 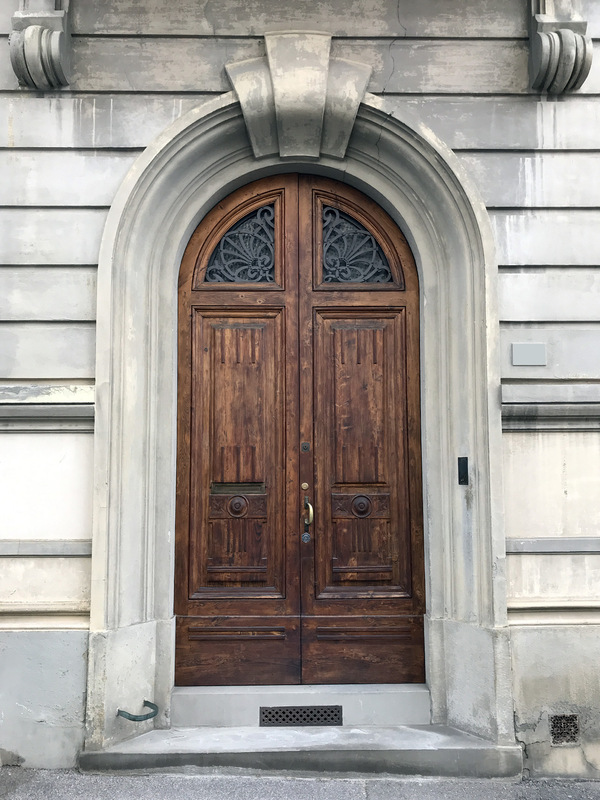 The next morning I made sure I was on time at the front door of the Villino Panerai. Signora Maria is of Swiss decent so punctuality is a must. As usual, Maria was waiting upstairs in the living area of the Villino Panerai. Another year went by since our last meeting and I was very happy to see her in great shape. She welcomed me jovial as ever. I followed her into the study where we talked about daily stuff like the current traffic chaos in Florence or the issues with the Florentine Airport. After a while she said, please wait, I have something for you. 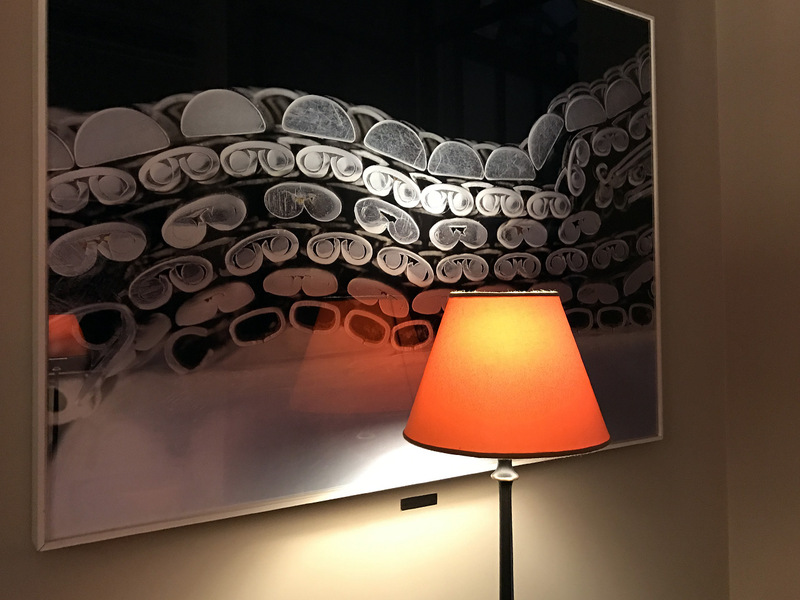 I asked whether I could take a few photos of the objects in the room while I was waiting. She said sure and went to the other room. 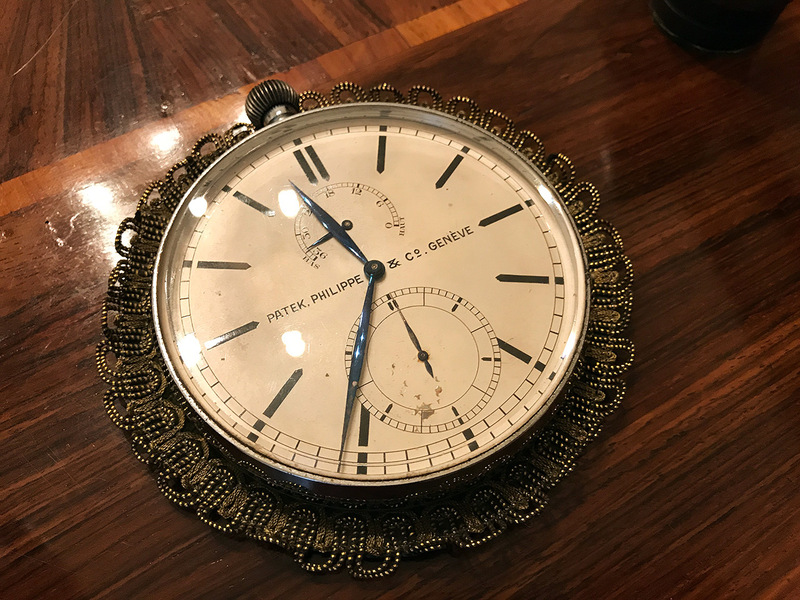 A magnificent Patek Philippe table clock. Ulysse Nardin table clock. Ora esatta = exact time. The very first time I visted Maria she showed me a beautiful nautical ship compass that she keeps in her study. I rememeber I was so impressed with it that I totally forgot to take pictures. 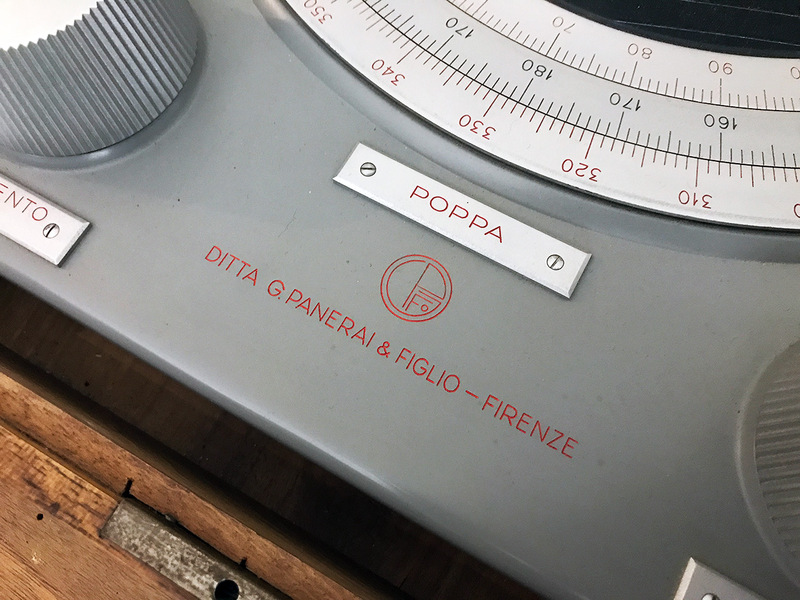 The compass is stored in a wooden box with nicely engraved G. Panerai & Figlio badge. And here’s the object of desire. 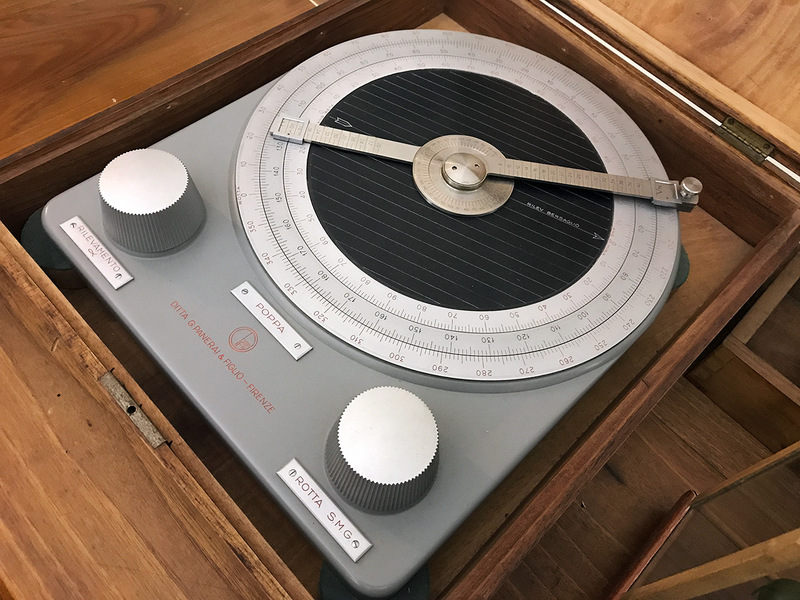 A floating dial compass. This type of compass was usually mounted on a gimbal (aka as cardan suspension) to keep it always upright with respect of the horizon. It was probably meant for small vessels or delivery vehicles such as the SLCs aka Maiales. Perfectly executed hand engravings on the housing. After a while, Maria came back to the study. She was holding three small boxes in her hand. Two of them were grey, the third one white. I recognized the grey boxes immediately. 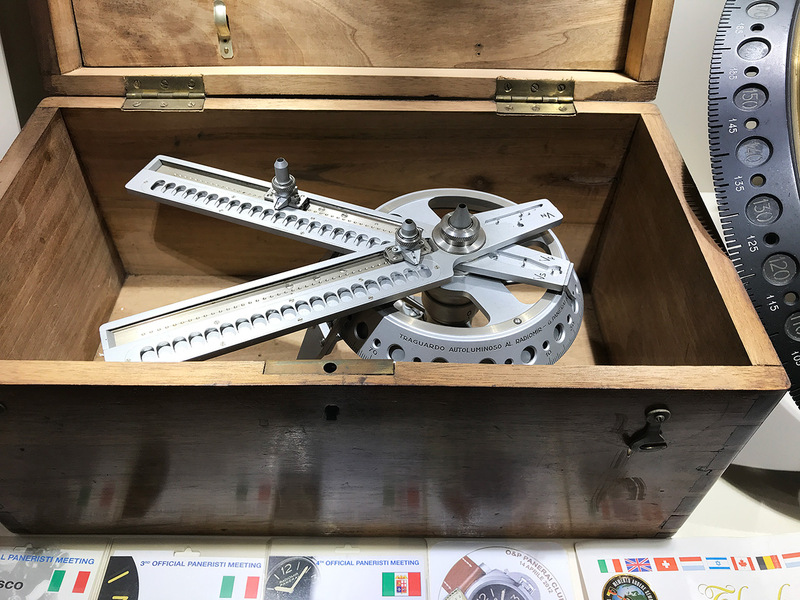 These were the original boxes in which Panerai used to deliver the watches to the Marina Militare. Signora Maria showed me three of her watches which she normally keeps in a safe deposit box in her bank. She had them fetched for me. 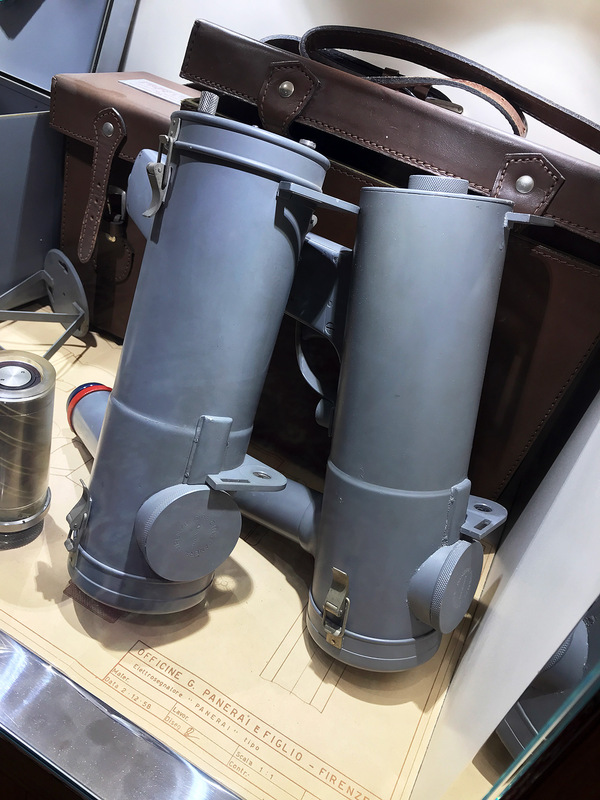 The GPF 2/56 on the left has a non-reflective coating and is basically NOS. 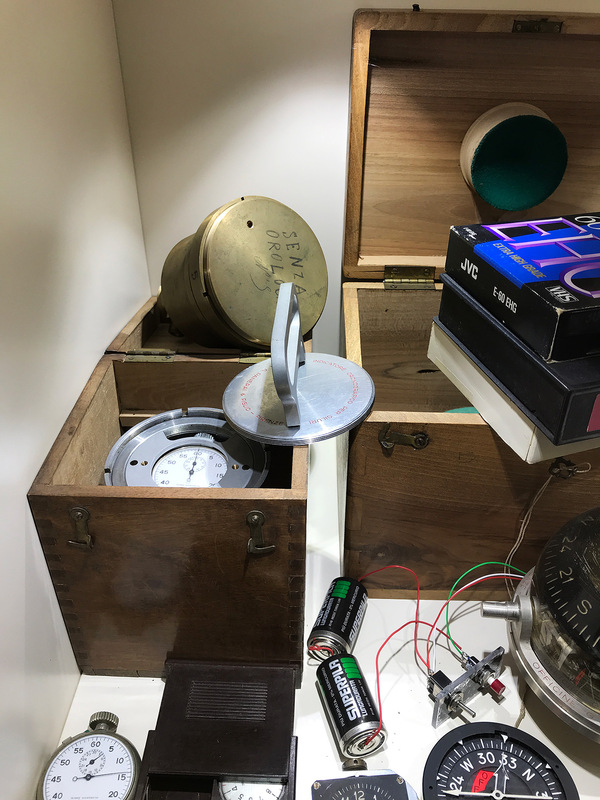 The 6152/1 on the right has still the original Radiomir dial. The case appears untouched. These are amazing but the content of the white box was what truly blew my mind. The following watch is a mystery and I was hoping to see this piece in the flesh on day. This is a 6152/1 with an ultra rare Luminor dial featuring minute markers. There are only two watches with this type of dial. 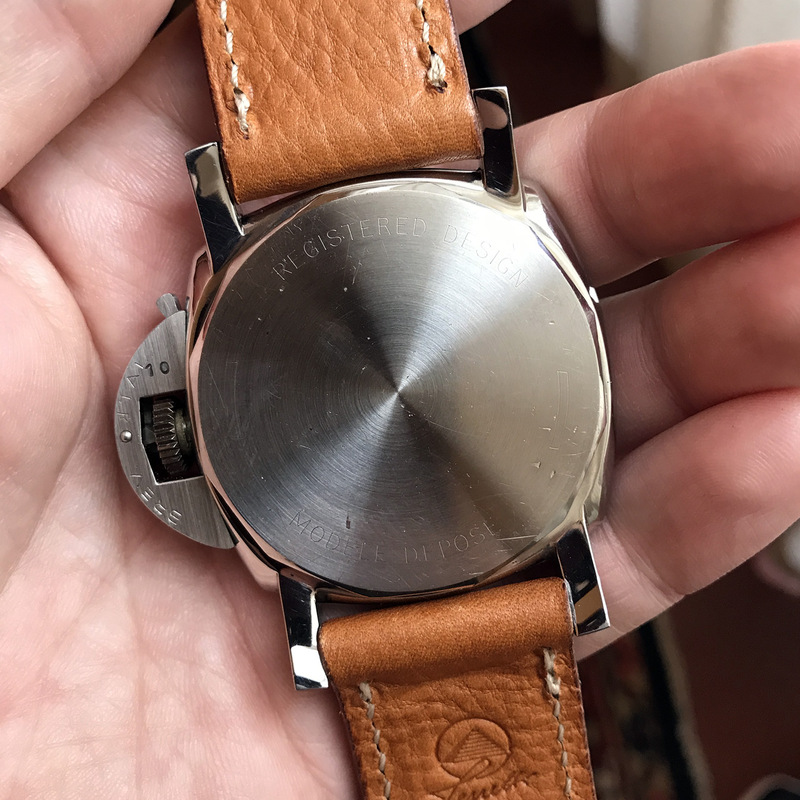 The other watch is a modified 3646 with solid lugs. What a moment! This piece is the top of the christmas tree. 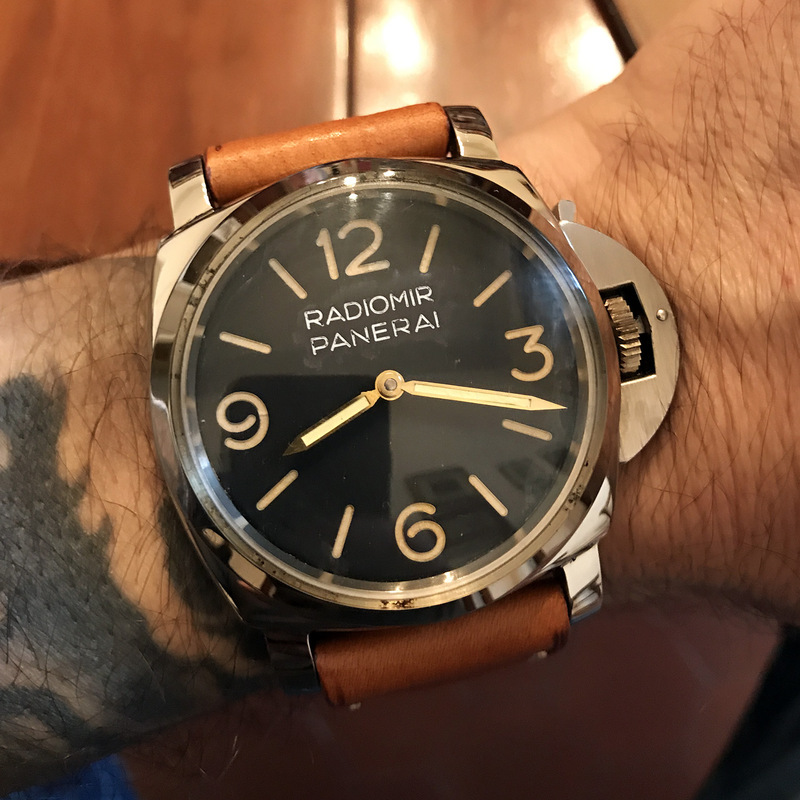 Panerai 6152/1 with Radiomir dial. This is how this reference was delivered from the mid 1950s on to the mid 1960s. Panerai introduced Luminor, the harmless luminous compound based on tritium in the mid 1960s. This watch has a non-matching Ref. 6152 caseback with typical Rolex “Registered Design – Modele Depose” engravings from 1953. 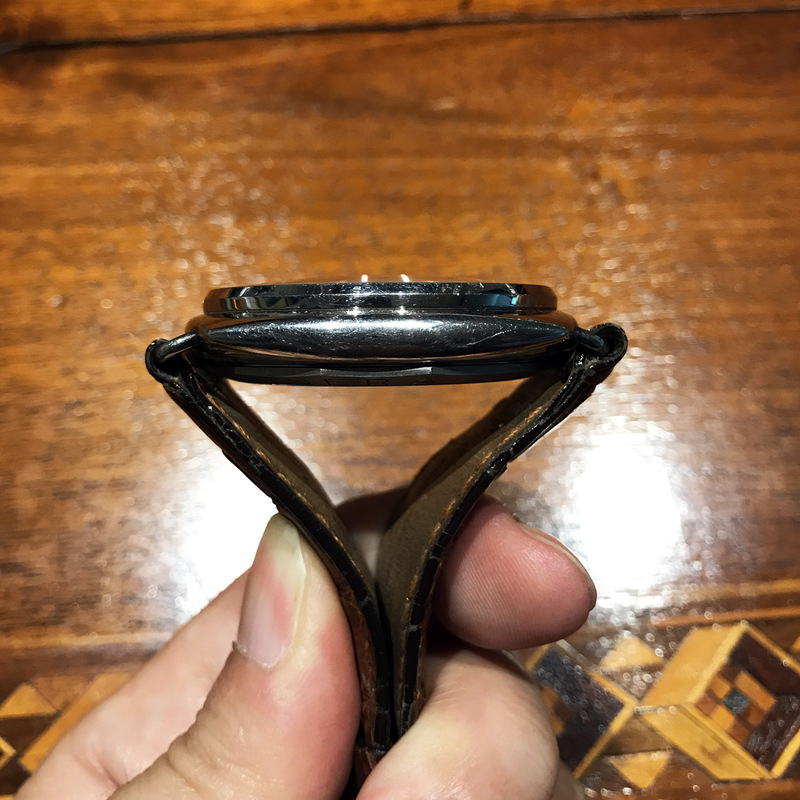 Check out the lugs, the case of this watch is like new. The GPF 2/56 is a beast of a watch. 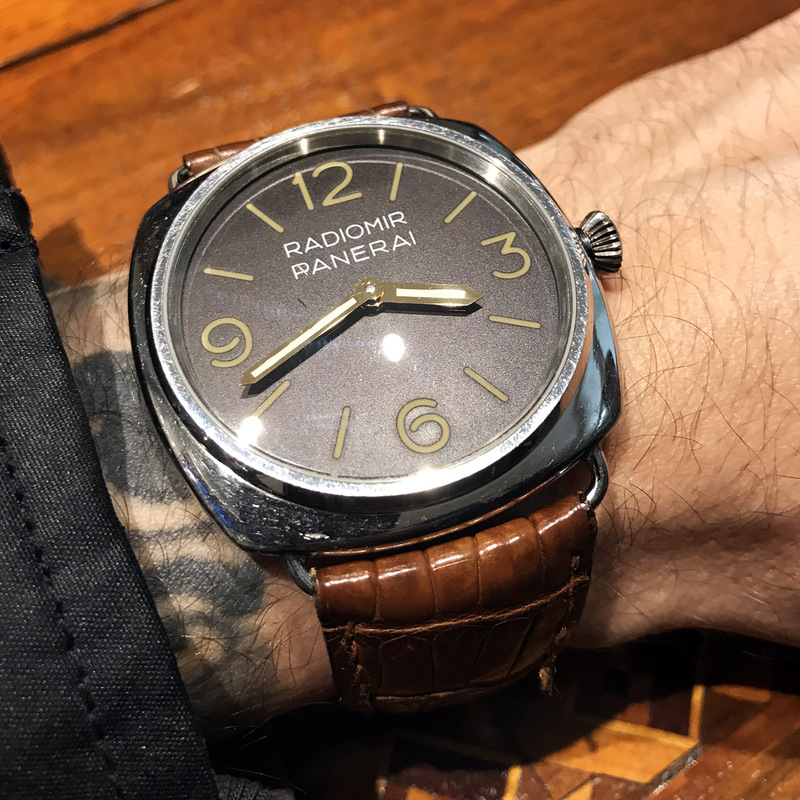 This model has become one of my favourite Panerai models over the course of time, even thought it is impossible for me to wear. And here are all three watches together. Maria and I had a great conversation about the life of her husband Giuseppe. Not much is known about him. I am simply impressed with her sharp memory. The Orologeria Svizzera, for instance, became a main Rolex retailer in Florence only in 1934. During the Fascist period, Mussolini wanted to make Italy as autarchic as possible. There was a strict “Buy Italian” policy in place and foreign products tended to be rejected from official side. That’s why the Navy approached Panerai in the first place. 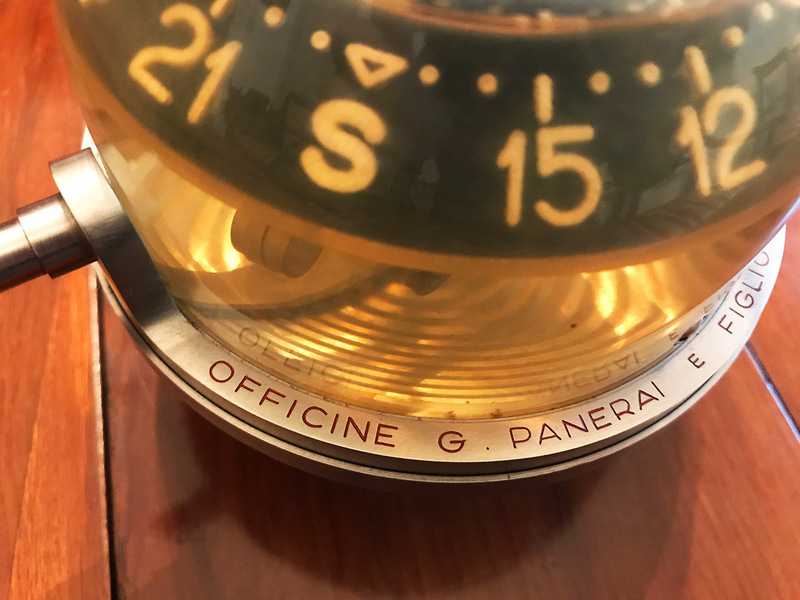 Only thanks to Giuseppe Panerai it was possible to circumvent the strict fascist policy not to buy foreign products and offer Rolex-made watches to the Italian Navy. Giuseppe Panerai is the relevant person when it comes to the world-famous Panerai watches. 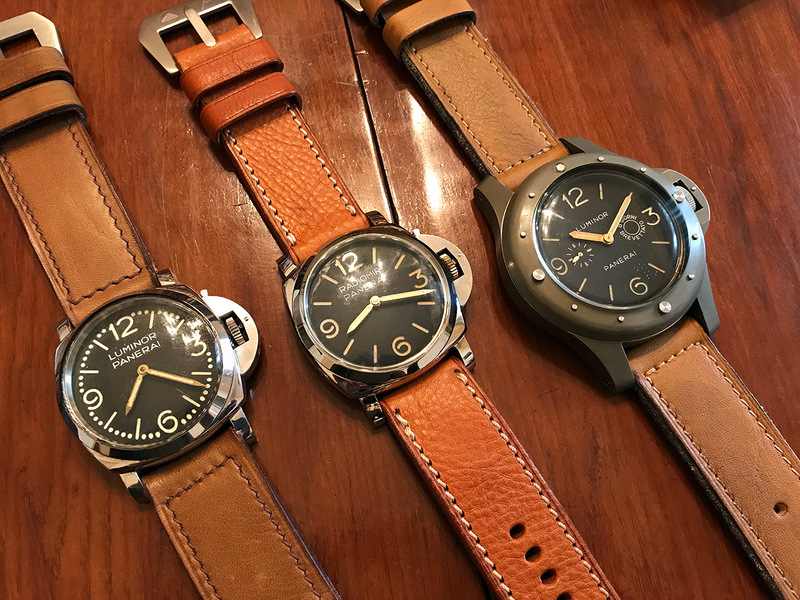 Surprisingly, the modern Panerai focusses almost exclusively on Giovanni Panerai instead. Giovanni was Giuseppe’s grand grandfather and his “only” accomplishment, and I say this with all due respect, was to open a watch shop in Florence. That was in 1860. I think this is exactly what Richemont is really after, the year 1860, in order to pretend that Panerai is a Maison that reaches as far back as 1860. The following picture tells the whole story. Btw, I talked to Maria about this awkward inscription and she just shook her head. Such thing never existed, she said. These were fantastic two days for me. I left Florence with many new experiences and most importantly, with lots of newly acquired knowledge about Panerai. Arrivederci Firenze! 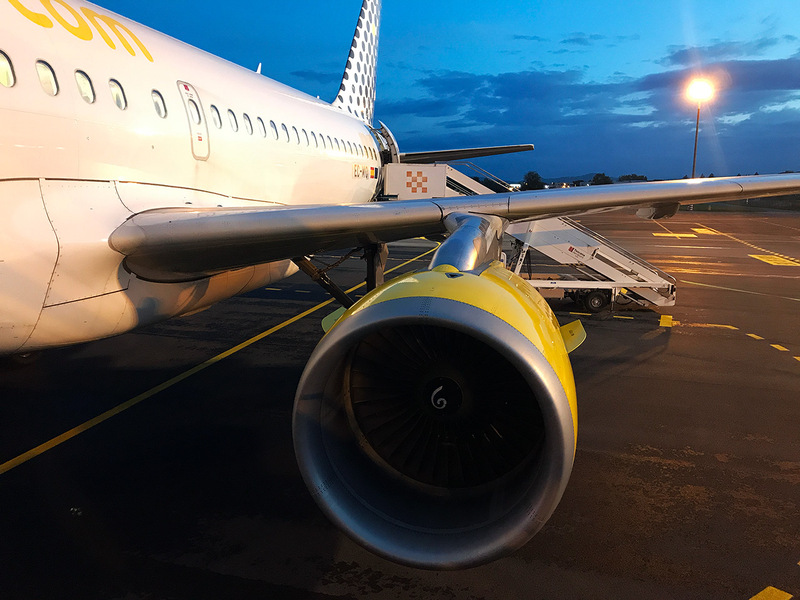 And off I went to Barcelona in order to spend a few days with my family. The next trip for the following weekend was already booked. The first international Panerai GTG in Moscow, hosted by the coolest Paneristis on the planet. Wie immer großes Kino und vergnüglich zu lesen. Muchas gracias! Always fascinating and informative! Thanks for sharing! 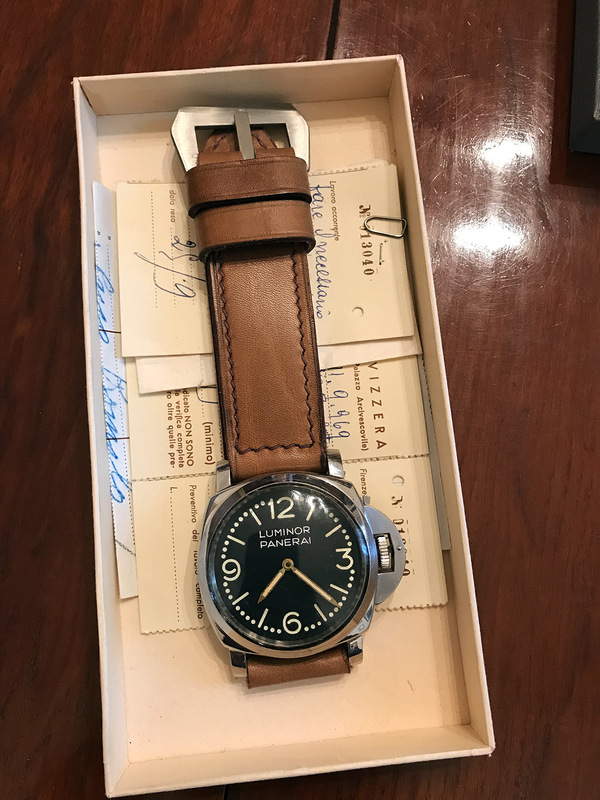 Being a friend of fine watches since the early nineties the Panerai-Virus infected me at last just a short time period ago. Thanx for your great essyas and the really fact based look on the outstanding heritage of this formerly great company! 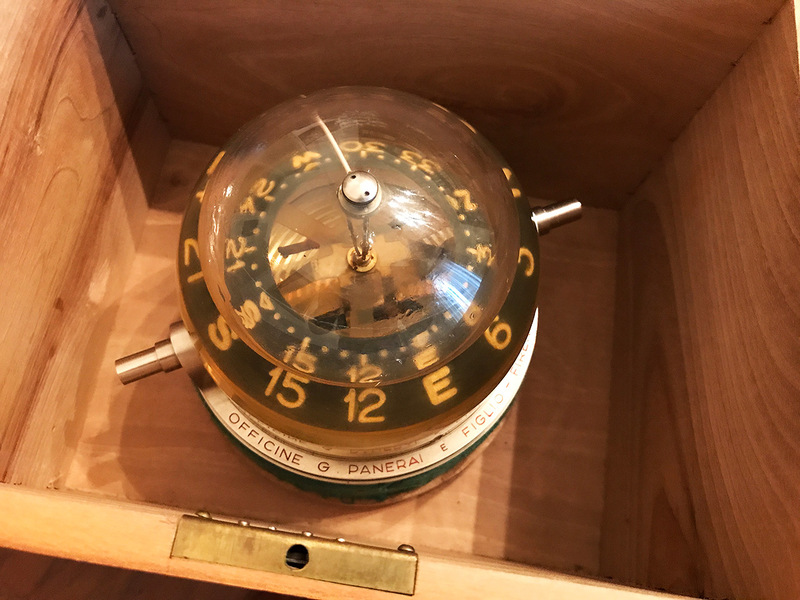 another great piece of Panerai history revealed, thank you! Pure passion and true knowledge! Thank you very much, Jose!